NFL stadiums are an icon that have become a piece of the glorious culture and sport we call football. As we look back into the pages of time, most of the oldest NFL playing turfs were not even stadiums at all. In fact, many of the oldest stadiums that are still used by NFL teams back in the original years were fields that would pale in comparison to some of the most elaborate home fields today. 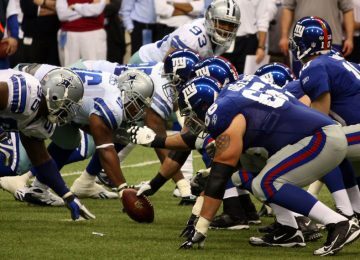 For example, AT&T Stadium (formerly Cowboys Stadium) once held over 100,000 fans in the arena for a Giants vs. Cowboys game. It is estimated that the Roman Colosseum could fit anywhere from 50,000 to 87,000 people. This means that professional sports, and in this case professional football, has effectively become the new form of Roman gladiator games. 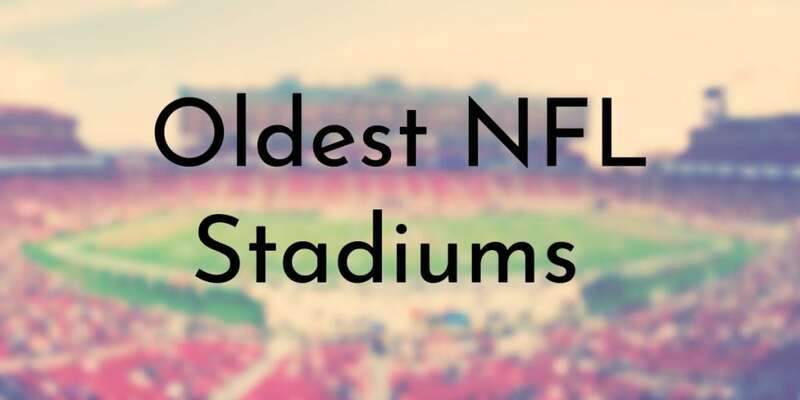 Here are the oldest NFL stadiums that are still in use by NFL teams. 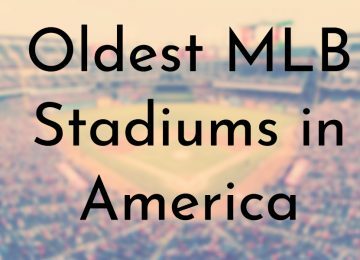 Each stadium on this list is a piece of NFL history, some dating back much further than others. Outside of college Bowl Games and the Belk Kickoff Game, the only players who play on this field are professional NFL players. It has been this way since the stadium was opened in 1996. 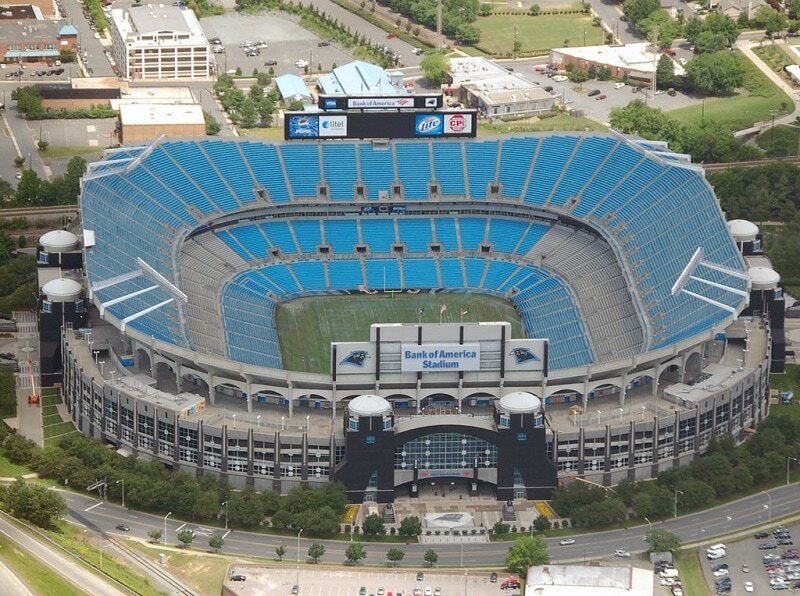 The Carolina Panthers are the only team that calls this stadium home. 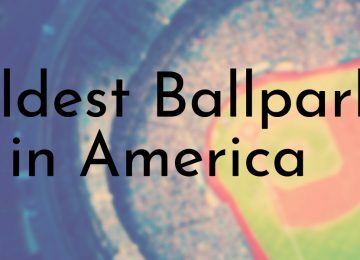 Although it has a slightly above average seating capacity and isn’t that old compared to other stadiums on this list, it has now been in use for over 20 years. 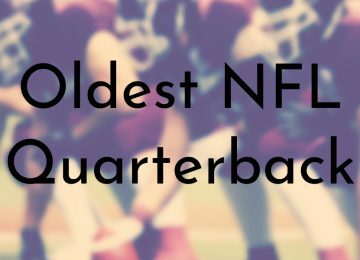 This is an impressive amount of time in NFL history. Hosts the ACC Championship Game. 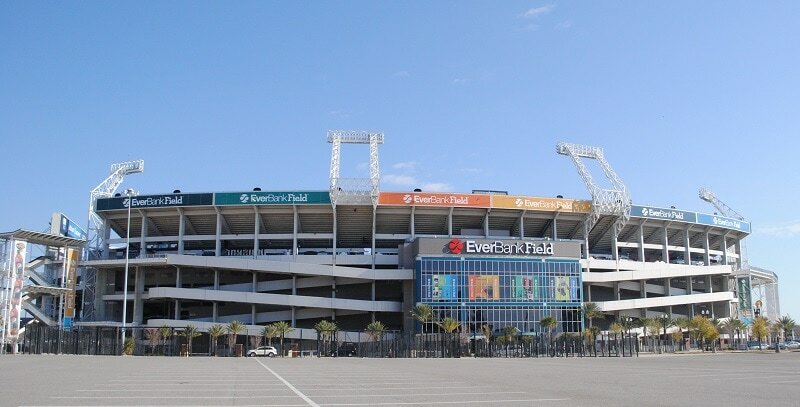 This stadium was built solely with the Jacksonville Jaguars in mind as they entered the league officially in 1995. Although it may not have the highest seating capacity in the league, up to 85,000 spectators are capable of watching a game within the stadium. The most ever recorded in attendance was marked down as 85,413. It has also done something which many NFL stadiums haven’t done, which is to host a Super Bowl. Has hosted the Jacksonville Jaguars every season of the franchise’s history. Has declined from 73,000 seats to only 64,428 during its lifetime. The record attendance was 85,413 set in 2007. 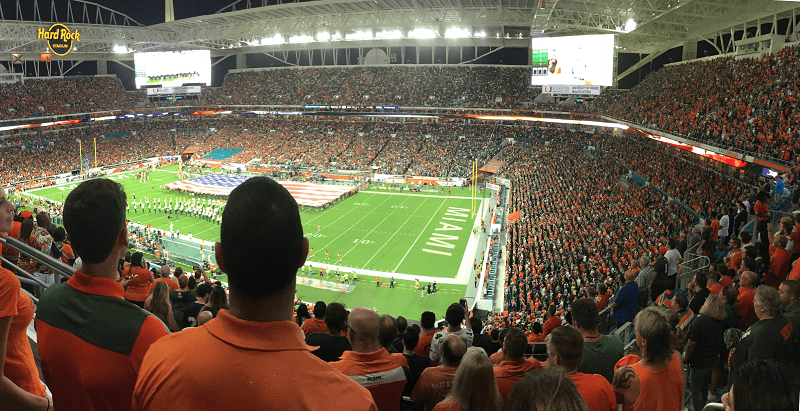 Hard Rock Stadium is probably not the best name we have seen for this stadium (second to Land Shark Stadium or Dolphin Stadium), every owner has their price. With the increase of corporations buying naming rights for an NFL stadium, we will have to get used to hearing this new name now. Since opening in 1987, the Dolphins have played every season on the turf of this field. Has been home for the Miami Dolphins since its construction. Has declined from 75,000 seats to only 65,000 seats throughout its operation. Used by the Florida Marlins until 2011. Also the home turf for the Miami Hurricanes. 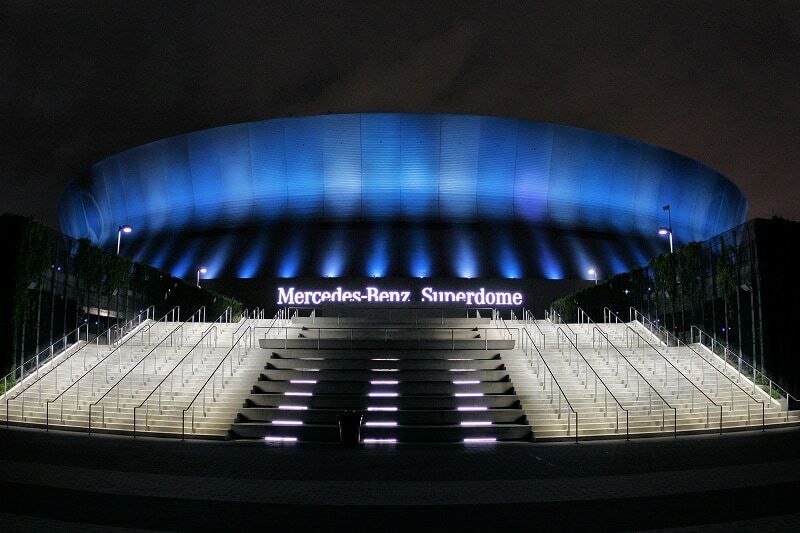 The Mercedes-Benz Superdome is so strong that it was able to survive most of the devastating effects of Hurricane Katrina in 2005. It did, however, have to be renovated after the stadium was damaged. Since its opening, it has hosted over 7 different Super Bowls and is one of the most all-weather, all-year stadiums that are available in professional football. This is probably a big reason why it has hosted so many Super Bowls. Was one of the main rescue sites for Hurricane Katrina victims. Even though this is the third stadium that hosts a team that goes by a city name in the state of New York, they are the only NFL stadium that actually is actually placed within New York (the state). As a result, the New York Giants and New York Jets are actually based out of New Jersey for their home stadium. This stadium has actually declined over 8,000 seats since its founding in capacity. This and its age are two of the reasons that the Bills may soon be building a new stadium to host their team. Has been the home of the Buffalo Bills since it opened. The Bills were undefeated in the postseason at New Era Field from 1988 to 1996. 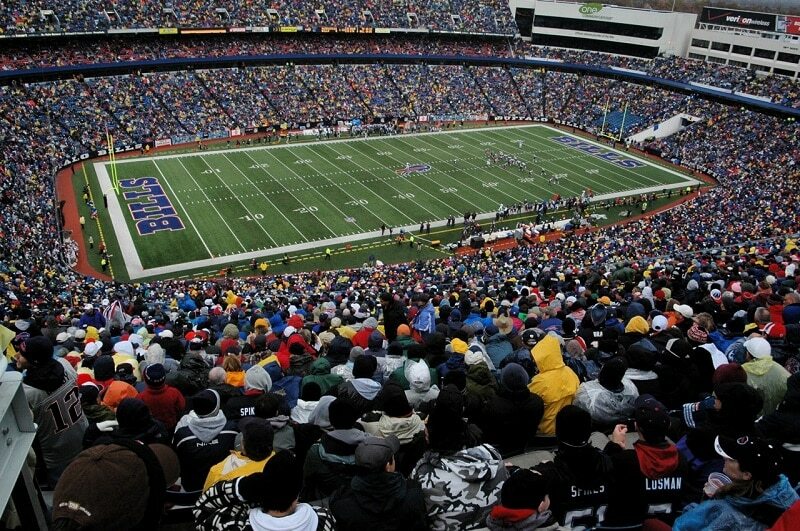 The Bills have beat every NFL team (besides themselves) at this stadium. The Bills are undefeated against the Packers, Cardinals, Ravens, and Buccaneers at New Era Field. No NFL team (besides the Chiefs) enjoys making a visit to Arrowhead Stadium. 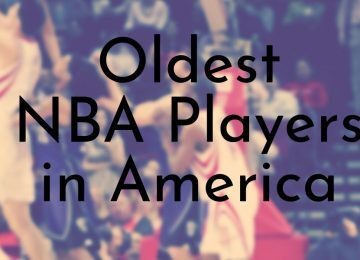 After setting, losing, and then re-establishing themselves as the loudest stadium in the Guinness Book of World Records, this is something that Kansas City fans pride themselves on. This stadium is so loud that in 1990 a referee had to threaten a charged-timeout against the Chiefs because Broncos QB could not effectively start the play due to the noise. There is loud, and then there is Arrowhead Stadium loud. Notorious for being the loudest stadium in the NFL. Guinness World Record holder (142.2 decibels). Hosted the Chiefs since it was constructed. Sixth highest seating capacity in the NFL (76,416). 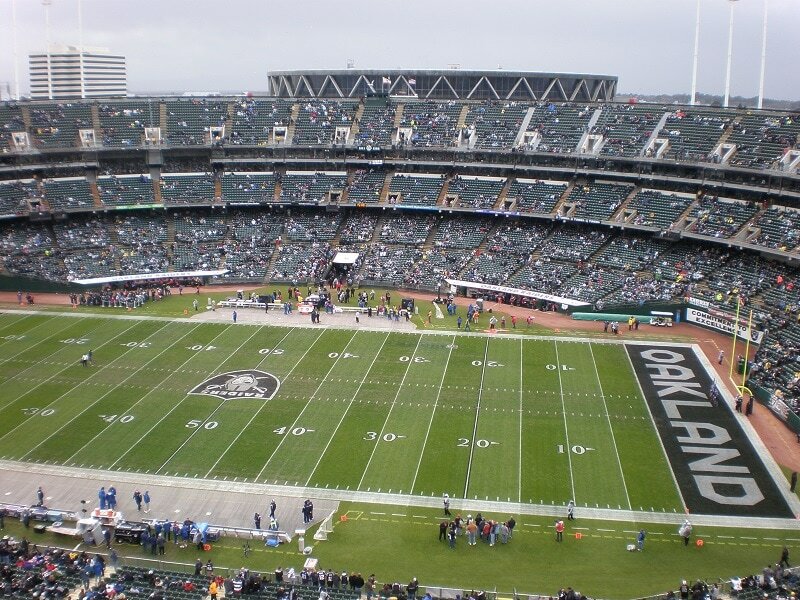 Arguably the stadium with the worst facilities in the NFL, the Oakland-Alameda County Coliseum is the only stadium which hosts an NFL and MLB team. There isn’t too much that is aesthetically-pleasing, culturally-pleasing, or even historically-pleasing about this stadium. However, to be fair, NFL legend John Madden coached the 1976 Raiders to go on to win the Super Bowl in this stadium. The Raiders were also Super Bowl winners in 1980 while having this as their home field. The only remaining stadium in the USA shared by two professional sports teams. Oakland Raiders and Oakland Athletics. The second smallest seating capacity in the NFL. Also known as one of the worst stadiums in professional baseball. This is one the NFL stadiums that opposing teams fear the most. In fact, it might not be the Packers that they fear the most, but instead, the searing cold that is present as the season goes on. In the heart of Green Bay, Wisconsin, there are few places in the USA with the geological requirements to permit a stadium to get this cold. 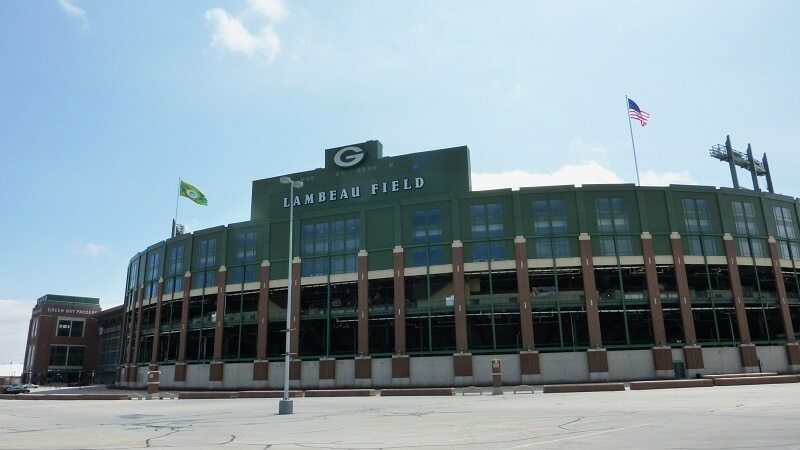 Although, this is something that the Green Bay Packers and local fans adore about this stadium. It is what gives them a home field advantage. Nicknamed “The Frozen Tundra” after the notorious “Ice Bowl” of 1967. The temperature reached -15 °F despite the stadium having an underground electric heating system. The Packers were undefeated in the postseason at Lambeau from 1957 – 2003. Easily the NFL’s most iconic stadium and also one of the largest with a seating capacity of more than 81,000! Long before Soldier Field was known for its tradition of honoring American troops, it was originally named Municipal Grant Park Stadium when it opened in 1924. Before it became an NFL stadium it was home to the Notre Dame Fighting Irish (1929) and even the CFL Chicago Owls before the bears came around in 1971. 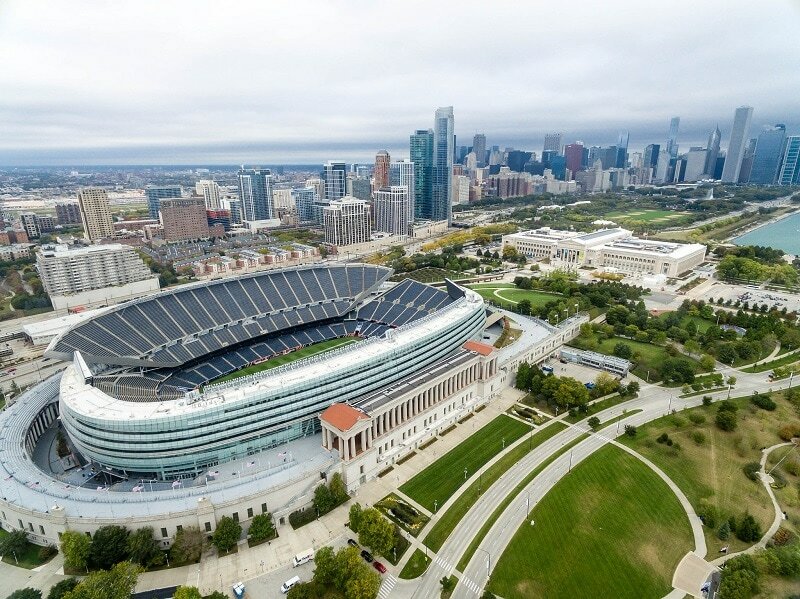 Since then, it has remained the home of the Chicago Bears, minus one season in 2002 when Soldier field was intensively renovated. It is expected to continue being used for quite some time. Has the third-lowest capacity in the NFL (61,500). Was recently remodeled in 2002 but still sits on original foundations. Built in 1924, but not used by the Bears until 1971. Was home to then-NFL team Chicago Cardinals in 1959. This stadium has quite the history and dates all the way back to the dawn of the NFL. Los Angeles Memorial Coliseum may not be as elaborate as some of the other home fields that are used by other NFL teams, but it has the seating capacity that can compete with all but one other field. Seats 93,000 which is the second highest capacity in the NFL. Once hosted the then Los Angeles Raiders (1982 – 1994) Los Angeles Chargers (1960) and now the Rams. 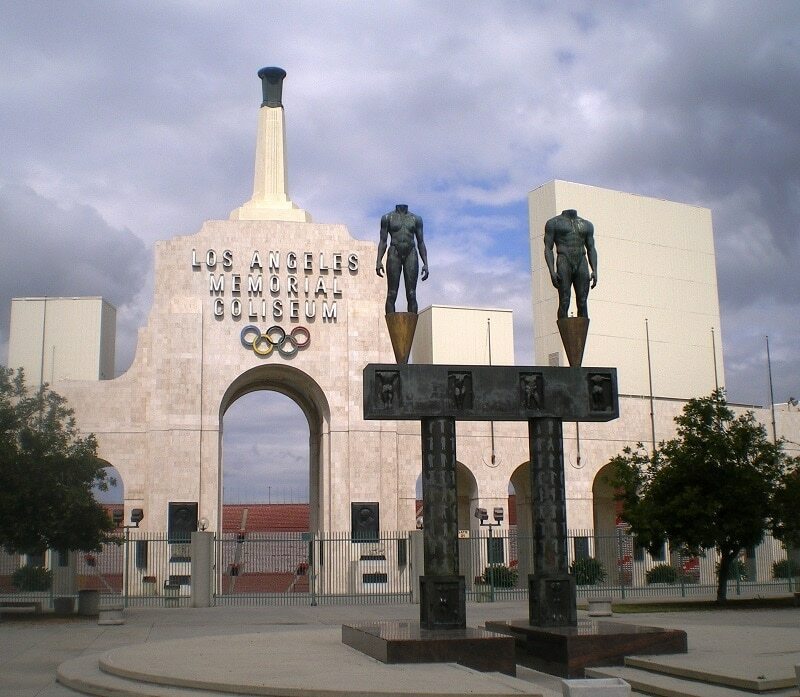 The Los Angeles Rams had made this their home from 1946 to 1979. Was the UCLA Bruins’ home field until 1981.